Based on a true story. Collecting 1,000ryo (300 million yen) to escape poverty! About 240 years ago during the samurai era, in a poor town in northern Japan, the residents suffered in great poverty due to heavy taxes imposed by the feudal lord. 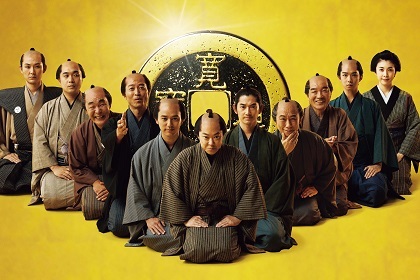 Juzaburo (Sadawo ABE) who worries about the future of his hometown and his eight fellow merchants came up with a secret plan of loaning a large sum of money to their lord which they collect interest and distributing them to the towns people to escape poverty. But if their plan is uncovered, they will definitely be decapitated… Do-or-die intellectual battle begins!